I have been creating jewelry for over 20 years. I particularly enjoy chain mail. 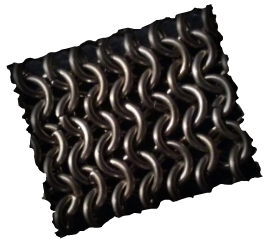 There are several weaves associated with chain mail and I offer a wide selection of the different patterns. I like to work with stainless steel and titanium the most because it creats a strong product. You can also find my work on Facebook at The-Steel-Web. And on Etsy at thesteelweb.